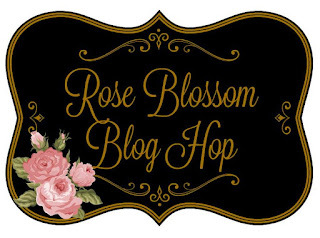 Rose Blossom Legacies: Welcome to the Rose Blossom Blog Hop! Welcome to the Rose Blossom Blog Hop! 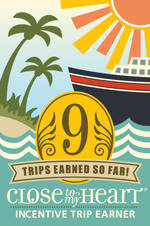 We are so happy that you've joined us! It's Stampaganza month (buy two stamps and get one free! 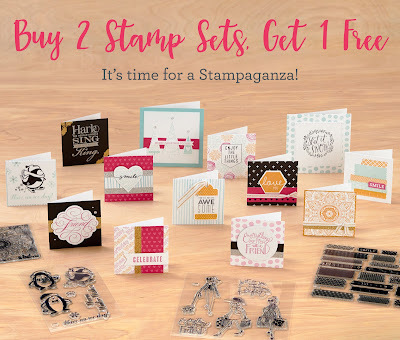 ), and we are thrilled to show you some cards and layouts using stamps! The blog hop is a big circle, so whether you are joining me here or finding me in the middle of the circle, you can just keep going around. Should you get lost along the way, I have all the blogs listed at the bottom. I made a card for you today with my favorite stamp set. It's hard for me to pick a favorite, but there is something about the font in this one that keeps me creating with it. It's called Keep Dreaming. 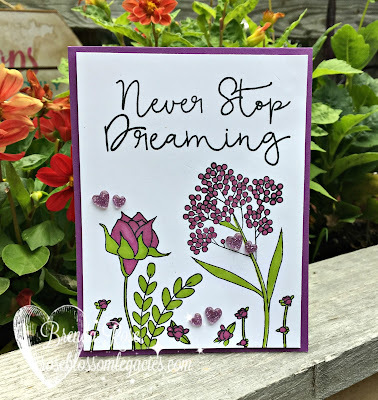 I stamped the flowers with Memento black ink. I only used two marker colors - Leaf Green and Peony Purple. I love the fine tip of the Shinhan marker because it allows me to get into tight crevices. For the flower on the right, I simply dotted the marker in the circles. If you don't have any Shinhan markers, I want to encourage you to try them and pick up a few of your favorite colors. You will love the way they color so flawlessly. Here is the stamp set I used. I think you'll agree that it's lovely! Now it's time for you to head over to see what Lynn has create in her bungalow. You will love it! This card is so beautiful! The stamping and coloring are radiant! It has the same beauty as your backyard!!! I'll be honest - I never really gave this stamp set a second look. But your card is so beautiful, I may just have to get one myself! I love your. And, Brenda! 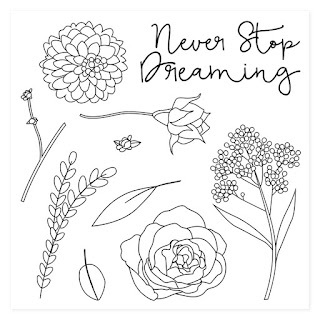 You are so right, that stamp set is lovely-- the font on the sentiment is beautiful. 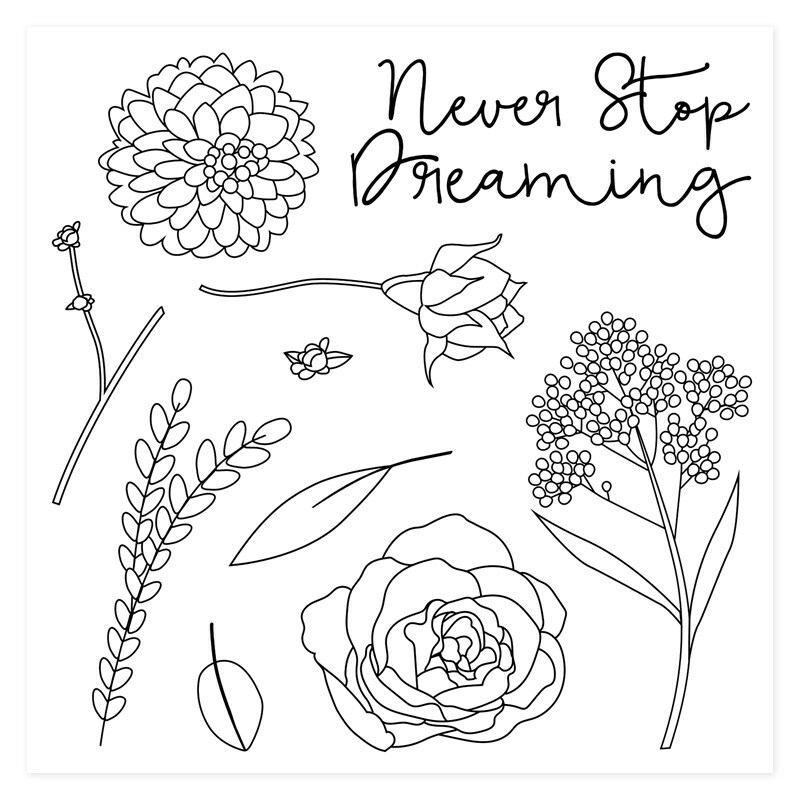 Your coloring is just perfect-- you've created a card anyone would be thrilled to receive. Oops! I love your card!! I really love this card Brenda! So beautiful. Lovely! After seeing your backyard I am not surprised that you love this stamp set. Your card is crisp and clean and so beautiful! You never cease to amaze me with your creativity and taste. Such a beautiful card!